Updated every Monday. 30 tracks from 30 works. The playlists are coming back, for real this time. 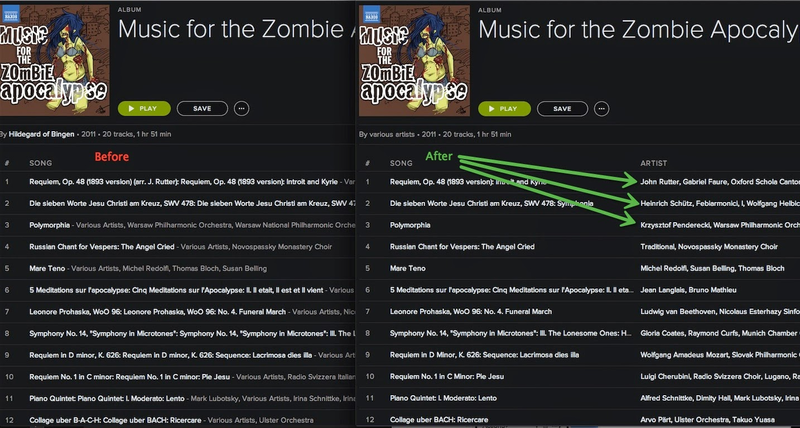 In the past 2.5 years I've spent most of my time on fundamental metadata issues that made the streaming experience (for classical and other music) often not as pleasant as it should be. We are still not there yet, and I'm aware of the issues that still bother classical fans: long track title readability, especially on mobile; no composer column (though composer is displayed as first artist at track level for classical content); search could be lacking for aficionados and overwhelming for classical newbies. They are not forgotten. It just takes more time to fix 30m tracks delivered by tens of thousands of labels in different formats (and constantly updated), than fixing a personal music library. From now on I will also spend some spare time on playlisting. Hope you enjoy the first effort. Suggestions and comments are welcome. 1) No playlist and no regret. 2) Classical composer/artist names have been normalised. I counted 284 different spellings of Pyotr Ilyich Tchaikovsky, and 23 names of Choir of King's College, Cambridge. 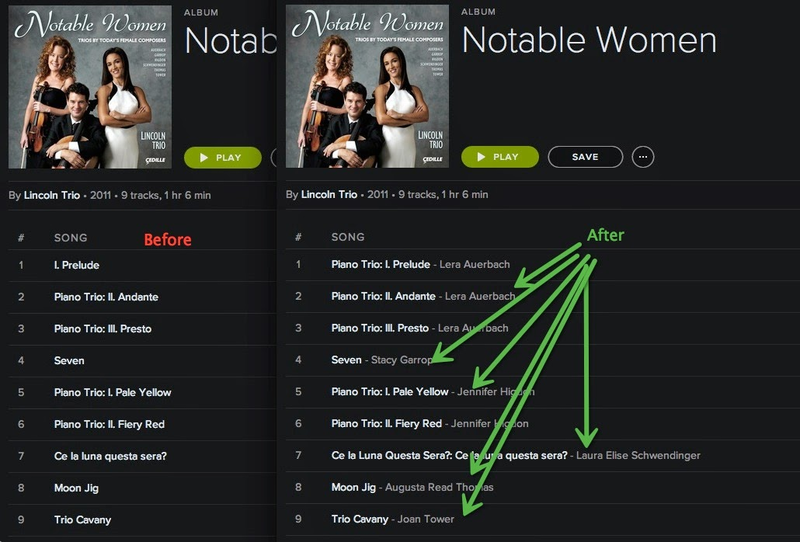 Thousands of duplicate classical artist pages have been merged. You can search for Rachmaninov and still find Sergei Rachmaninoff (also try CPE Bach, DSCH). 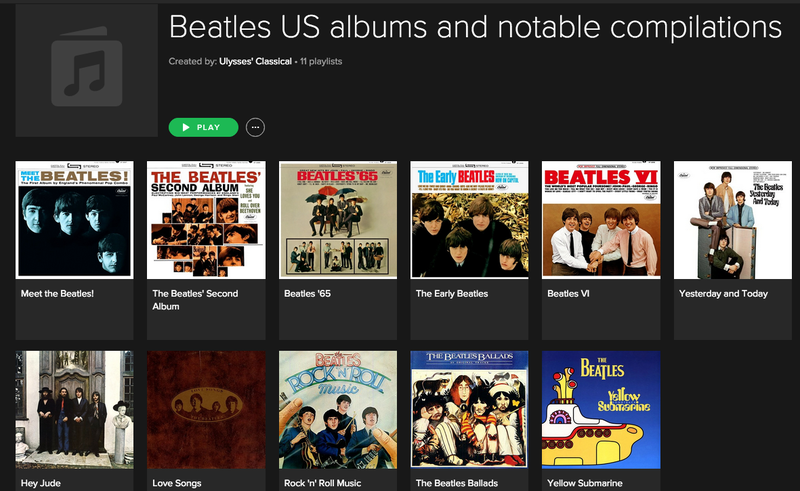 And the discography is easier to browse now without all the "Tender Classical For Study" stuff. Leonard Bernstein and Benjamin Britten are good examples. Can you guess which composer page was this? It was Gabriel Faure. But it could just as well be any other composer, since they all looked like that. Now the page is slightly more useful, with the wonderful Stephen Cleobury – Fauré: Requiem & Messe Basse at the top. There's still so much to improve, but the below 50 composer pages are already great starting points for people who want to get into classical music or explore a bit more. 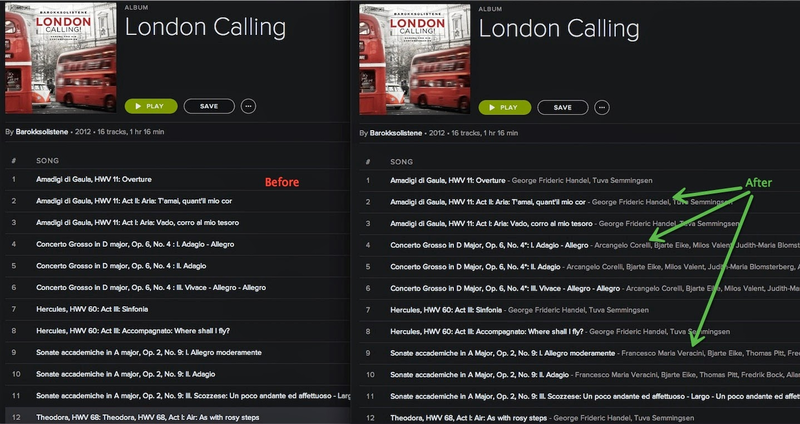 Comparing to these changes, all the playlists I've done before are really nothing. Enjoy and share the music. This also applies to Pentatone, Ondine, New Amsterdam, and all labels distributed by Naxos. Check out the list here. 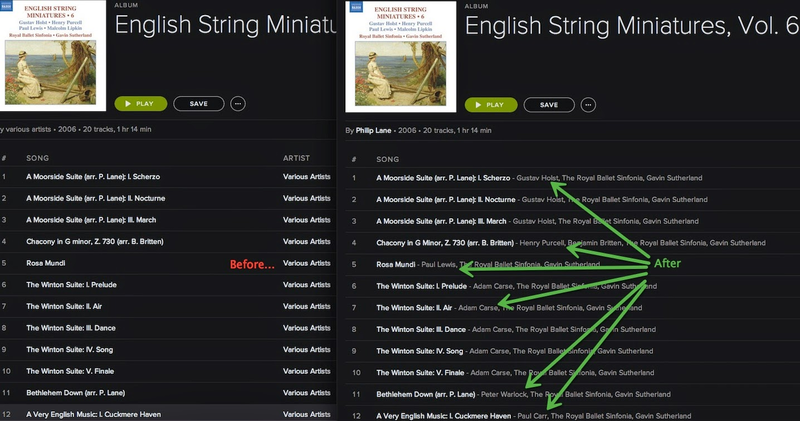 A small percentage of users now get revamped classical radio. 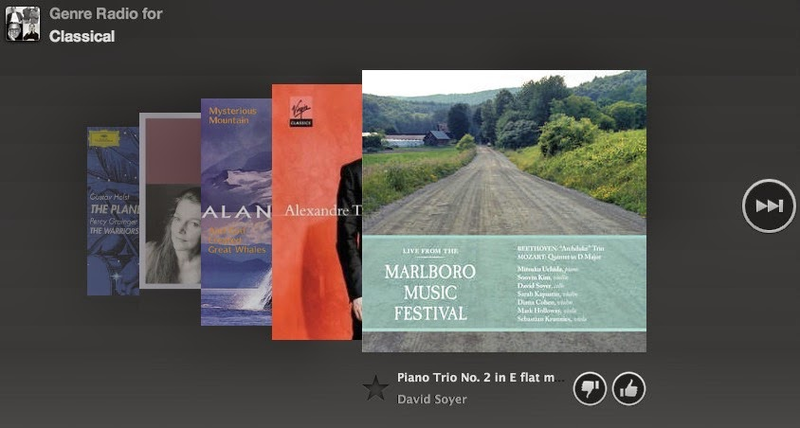 Try it here: https://play.spotify.com/radio/genre/classical Use the skip button to flip through a few tracks. If you only see soundtracks and greatest hits from not-so-great compilations and less than 10 composers, you are still on the old radio. Please ignore it like you did in the past few years. 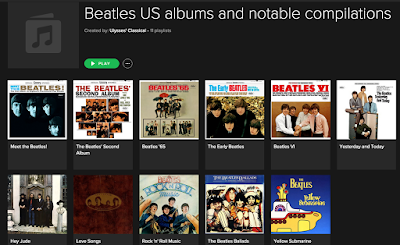 If you see a wide range of selections from respectable labels, then play on. The more you listen, the more users will get the new version. Your feedback will be much appreciated. Thanks. For those of you who already followed my Harmonia Mundi - hmGold Series playlist, it might take a while before the composers appear in the desktop client. In web player everyone should see the composers now. Thanks everyone for updating the 2011, 2012 and 2013 New Classical Releases Indices. 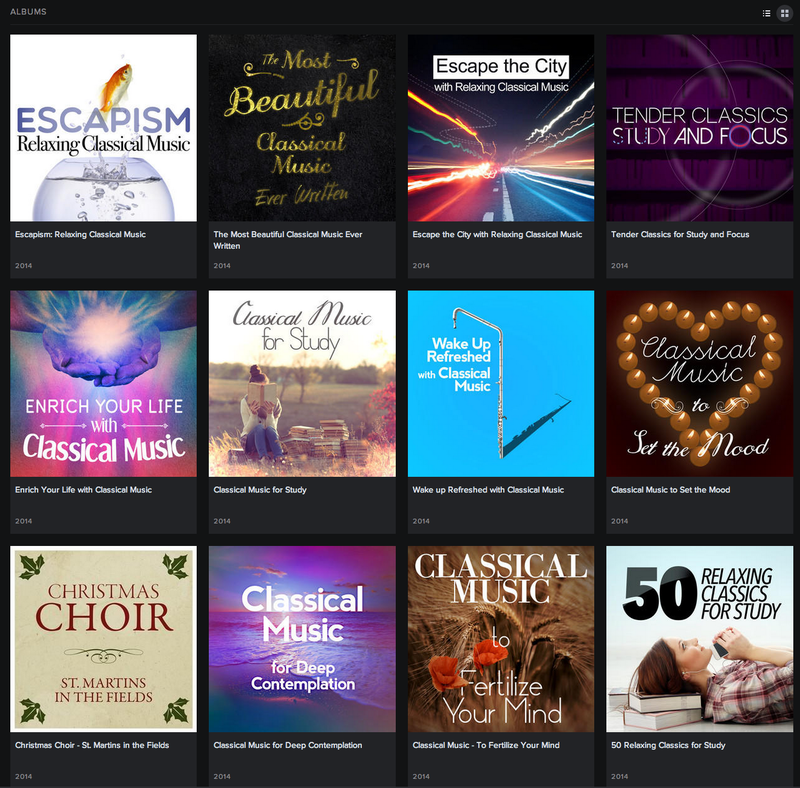 Let's do it again in 2014 and hopefully next year you won't have to use a playlist to browse the newly recorded/released classical albums of the year. 1. One track per album. You can click album titles and browse full albums. 2. 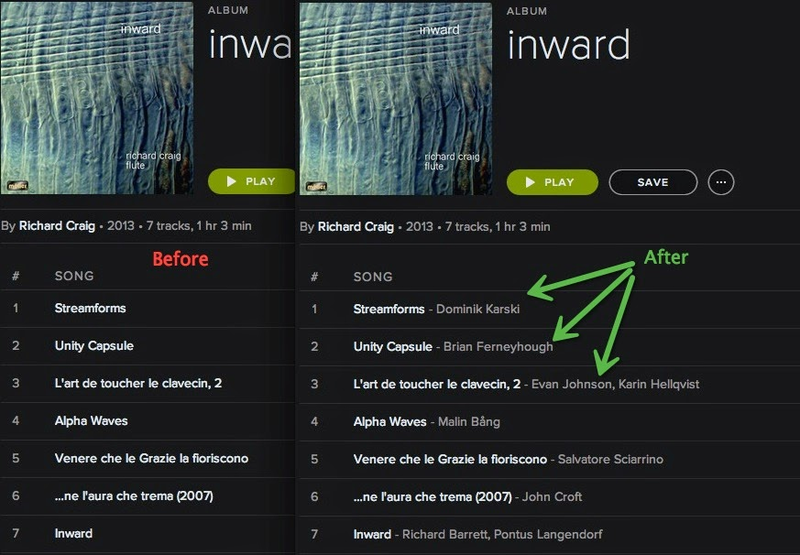 Add new tracks at the top of the playlist, so the new additions can be found easily. 3. Please avoid duplicated entries. Use the filter bar to check before adding. For example: before you add Daniel Barenboim – New Year's Concert 2014 / Neujahrskonzert 2014, you can press Ctrl (CMD) + F to bring out the filter bar, input partial title (like Barenboim or new year's concert) to check if the album has already been added. 4. Only add newly recorded albums. No re-issues, re-packages or compilations of previously released material. 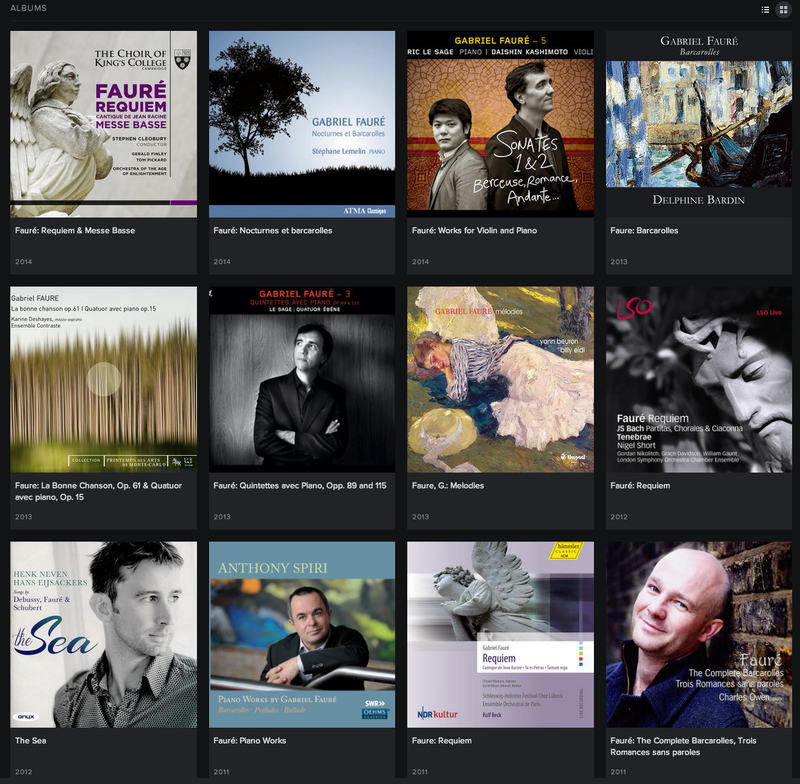 Get the regularly updated 2014 classical catalog in one Spotify playlist here: 2014 New Classical Releases Index (No reissues or compilations).